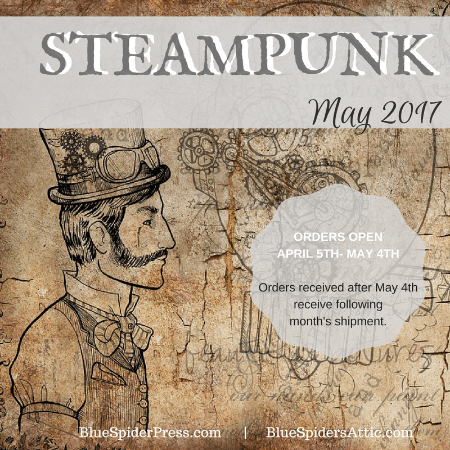 I bought the May Attic Box, and this month’s theme is Steampunk! This is always one of my favorite themes, so I couldn’t wait to receive this box. 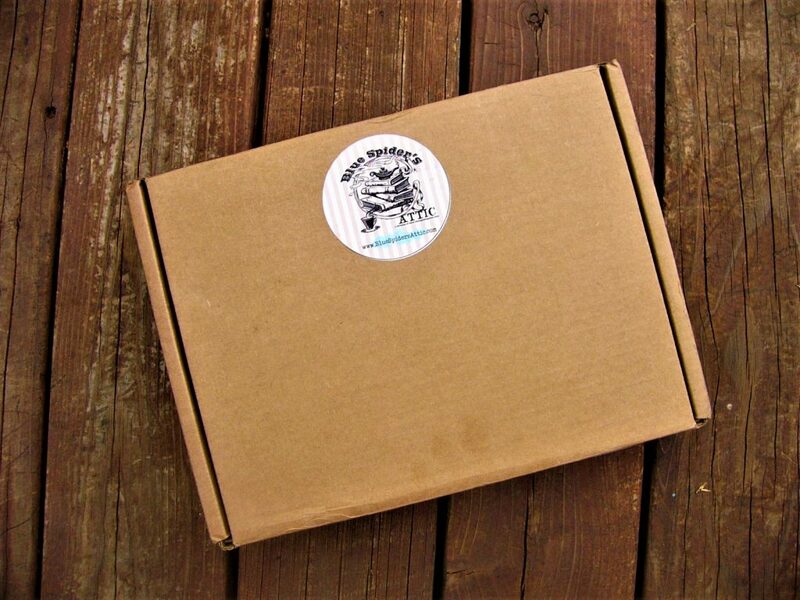 Blue Spider’s Attic shows up in a simple kraft box with the logo sticker on the top! I love how this gives the box a thrifty feel. 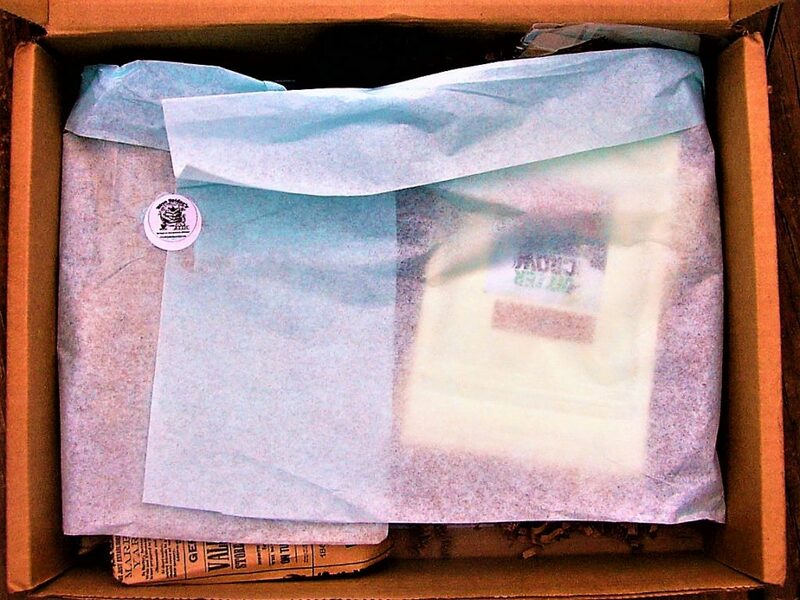 Upon opening the box, you are able to see how the items are wrapped in tissue paper and sealed with another logo sticker. I love this careful packaging. It makes each box special! 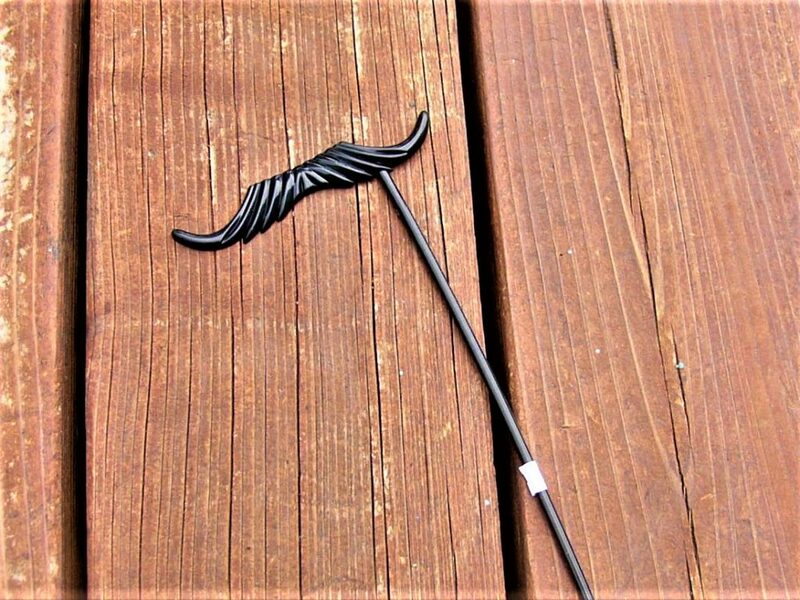 The first item I pulled out of the box is this fake mustache! This item is a bonus, and it goes perfectly with the steampunk theme. I have had so much fun playing with it! The next paper items are a bookmark, business card, and postcard from Blue Spider’s Attic! 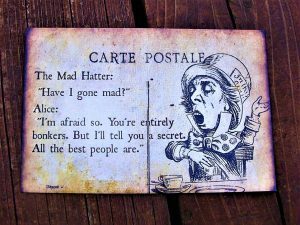 I love the Alice in Wonderland themed postcard as well as the personal bookmark. These are a nice touch! 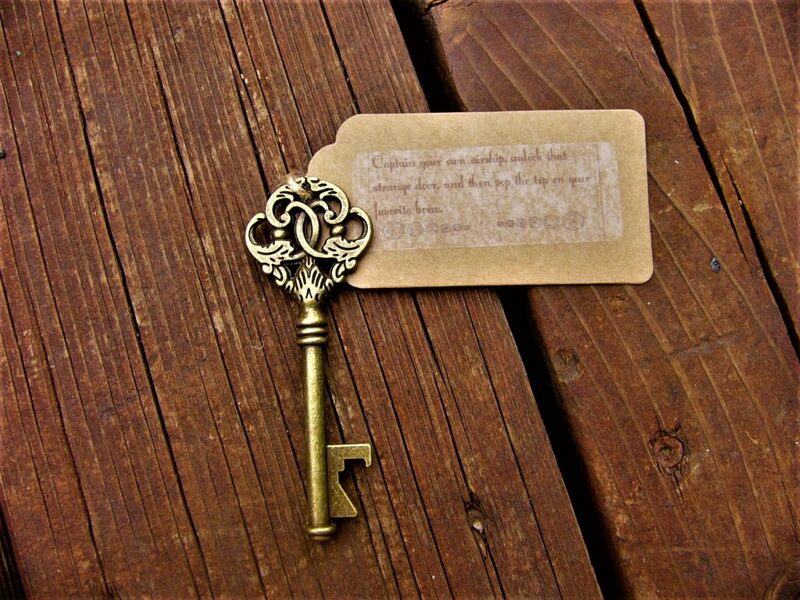 This skeleton key bottle opener is also a great addition! I love the steampunk aspect of this item. Skeleton keys are something that I love to collect! 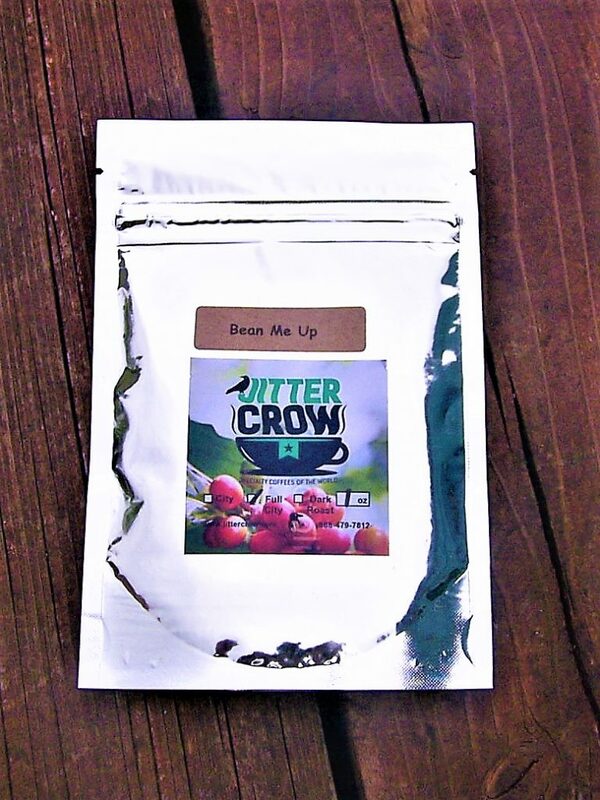 Blue Spider’s Attic includes coffee or tea each month, and this month I received ground coffee from Jitter Crow! This coffee has a rich flavor, and I like how smooth it is. Coffee and reading go so well together! The next item is probably my favorite thing in the box! 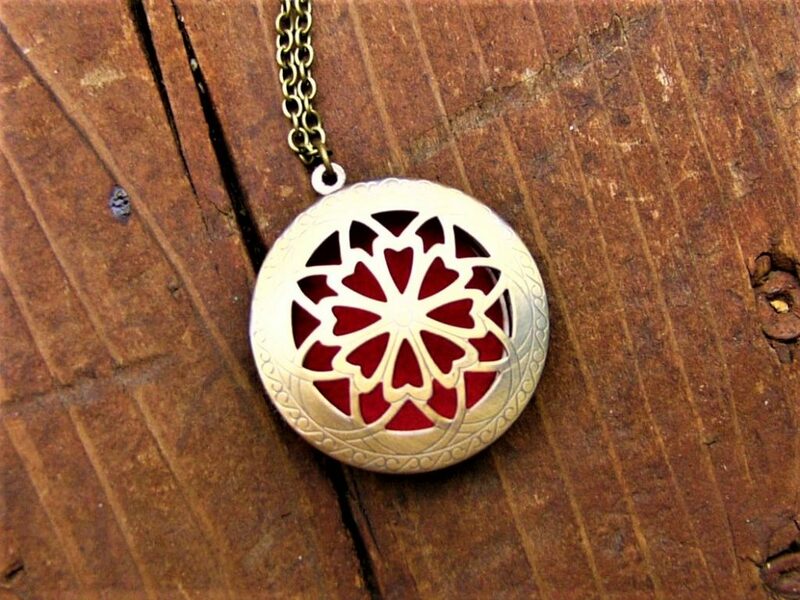 It is a scent locket that you can put oils into and use for aromatherapy. 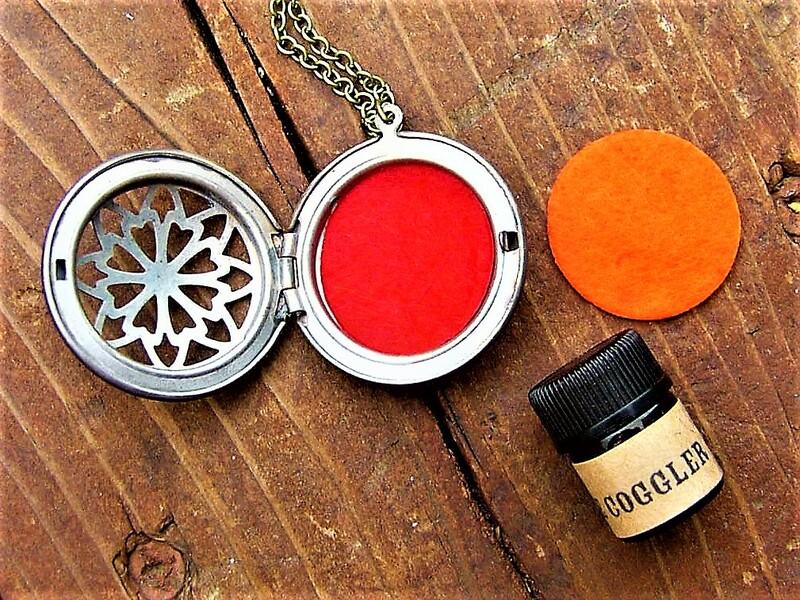 I am very into aromatherapy, and I have been wanting one of these lockets for forever! The locket comes with two pads that can be used with scented oils! 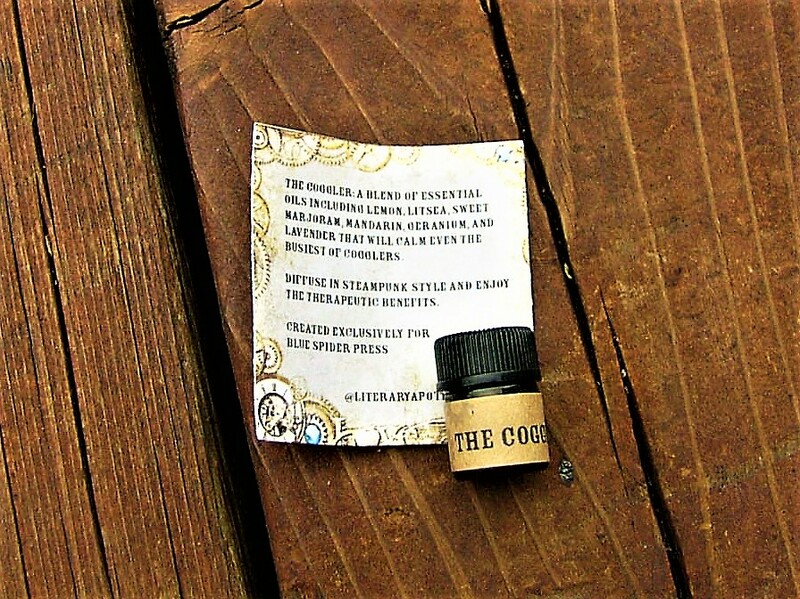 The locket also came with this oil from The Literary Apothecary! This oil is called “The Coggler” and it was made exclusively for Blue Spider’s Attic to go with the steampunk theme. I love how the oil is made from essential oils and smells how you would imagine a steampunk setting to smell! The books chosen for me this month are wrapped in this adorable old-fashioned newspaper! 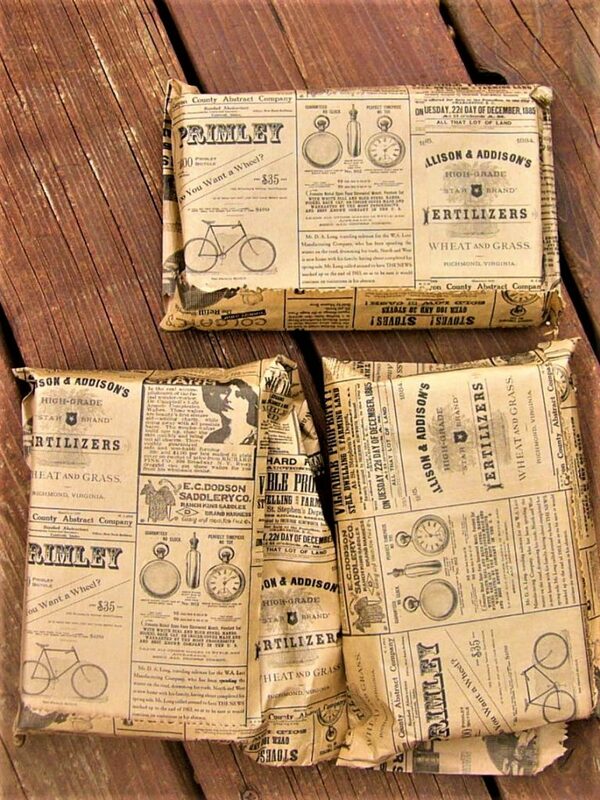 I love the vintage feel of the wrapping. The best part about Blue Spider’s Attic is that they will choose books for you based on your chosen genres! Because of this, there are only a certain number of boxes available each month. 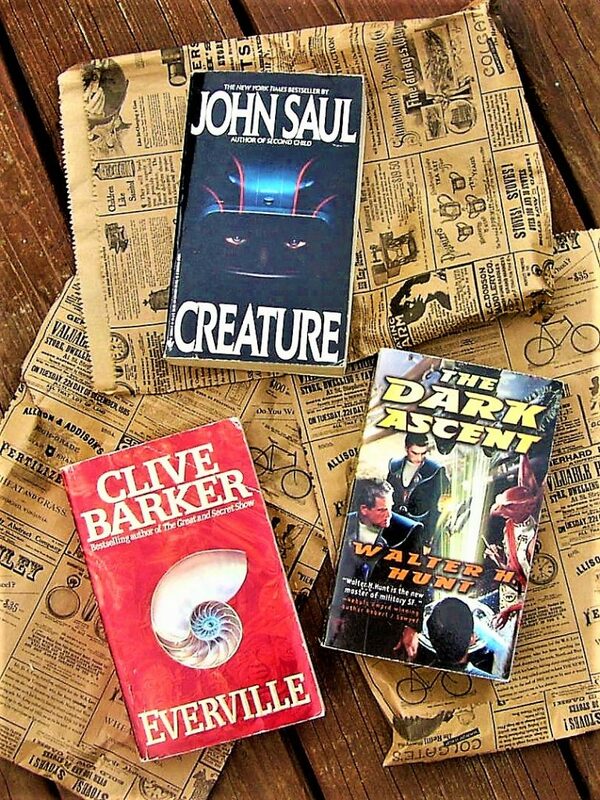 I put horror and science-fiction as my favorite genres, and Blue Spider’s Attic delivered! I don’t have any of these books, and they are by authors who I have been needing to try. I love the care that goes into picking books for each subscriber’s preferences! 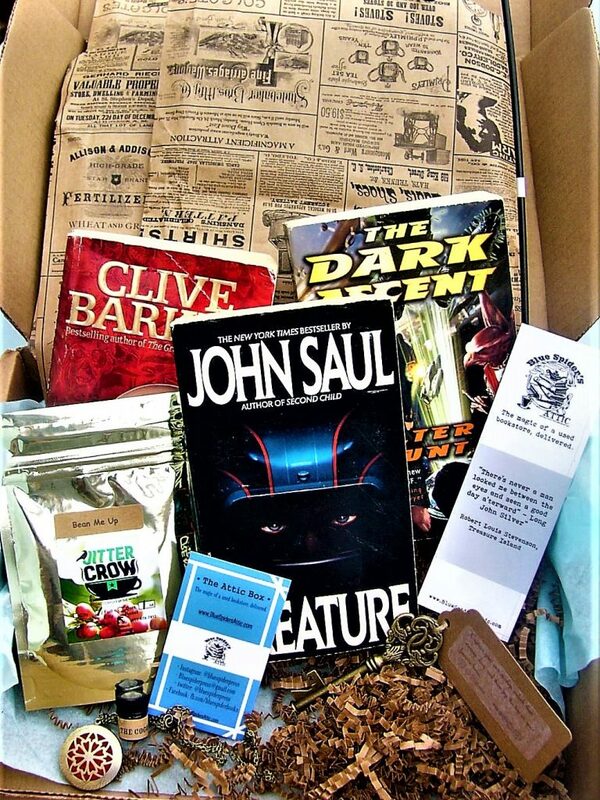 Final Thought: Blue Spider’s Attic is a great box for those who are looking for books chosen specifically for them, as well as used books to stay eco-friendly. They also send unique items that you can’t find anywhere else! The experience that this box brings is worth every penny because it does feel like a used bookstore has been brought to you. 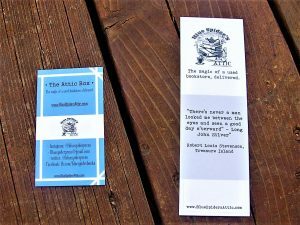 Blue Spider’s Attic is one of my favorite book boxes because of the care that goes into each box, and I can’t wait to continue growing my book collection with them!